Whether they're part of a large brood or the first bundle of joy for a lovely couple, this photo cube is perfect with our Chilli and Bubbles cartoon family and a message from you too! 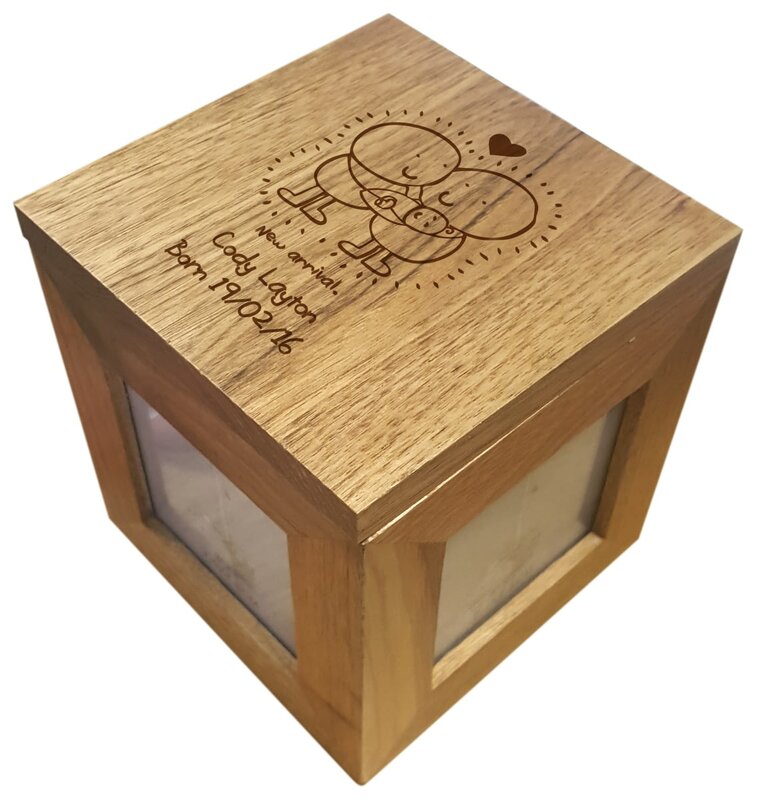 This Wooden Box is designed to be displayed and treasured for a lifetime. With a lovely Chilli and Bubble illustration on the front, you can send your congratulations in the form a message which appears on the back of the bauble.